Channeling a little 'Cindy Lou Who' this afternoon in my new red leggings. :) Melissa gave me these green socks and they are the softest comfy socks ever. Okay, okay, in all seriousness I've made 3..... count 'em 3!..... 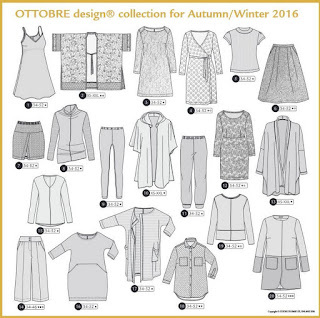 more leggings from the Ottobre 05/2016 no. 9 Classic Black Leggings pattern and I've got it down to less than an hour from start to finish. Yes! A turtle no more! There's 2 black pairs and 1 red pair freshly made below. ..... and it's long enough, to sort of cover all angles enough, to wear with my leggings. Tunics are going on the queue soon as these leggings are so comfortable I want to wear them every day. But need longer tops. Because. I do. The last pair of black leggings was made before lunch this morning..... thus the post title. 1 hour, 48" of fabric, 26 1/2" 3/4" non-roll elastic and you're good to go. Less than $9.00 are in each pair. All three of these were made using Wal-Mart's $5.44/yard Pontiroma knit fabric and I LOVE them! Because the Pointiroma was a little thicker than my last pair, I added 1/4" to all side and crotch seams and it is perfection for me. Added a little grosgrain ribbon 'tag' to note the backs. ..... especially no. 9 Classic Black Leggings. Again, modified the elastic waist construction by quartering my elastic, figuring out where the quarters were on my pants, (there's only an inner seam.... no outer seam) then serging the elastic directly to the waistline seam. Add my little ribbon, then turn down and zig-zag top-stitch it down. These sit at your natural waist. The front part of the leg seam is cut a little shorter than the back part. I've come across this before in other patterns, and I think it's to help the pant sort of all stay up with less bagging. Anyway..... here's how I sewed this together. I measured down around 6" on the back seam edge, double pinned, then pulled the front leg seam up to meet the back and pinned evenly. Here's how it looked before running it through my serger. The double pins are a head's up to myself that I need to gently pull it to match from that point to the crotch. Also, in the top pair, you can see where I put a pin to tell myself which side is the back as well as the right side of the fabric. It's hard to tell the right/wrong sides of knit sometimes! Zig-Zag stitch the hems, then pull the serger threads through the back of the serged seam stitch, then do a little top-stitch to hold that seam flat. I keep these supplies in my Alabama Great-grandmother's little box. This has got to be so very old, yet it looks brand new. Not sure she may have ever used it. I like it. And closing with a southern view of our distant mountains. The way our land lays, we have 360 degree distant mountain views during the wintertime. And for a day that began ever so cold, with a thick layer of frost on the ground this first day of Winter, it closes with the most beautiful blue sky and mild temps. What a great collection of leggings - they do look nice, but I agree, tunics are needed for "going out". I know some people don't think so, but I am a little old fashioned! Plus tunics look nice. And I think you are moving towards making garments a day, not a garment a month! Still, it's nice to be able to quickly make up basics like this for casual wear. Must make some myself next winter. I'd like to take this opportunity to wish you a very Happy Christmas. What a nice collection of leggings, and yes a staple for winter. Like Sarah Liz, I'm old fashioned too and feel a nice tunic or oversized sweater to cover up the bottom side. 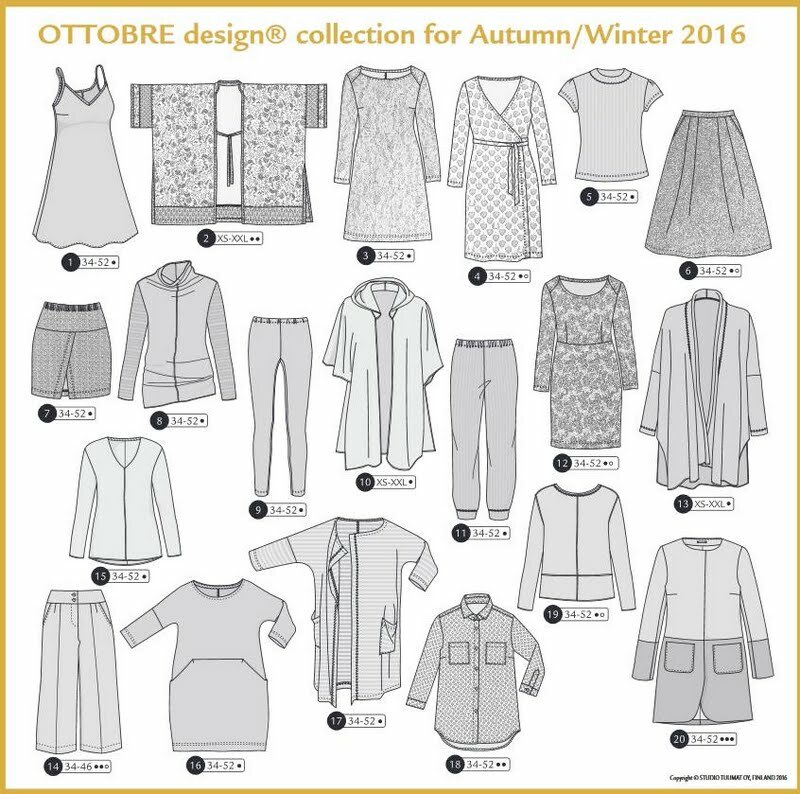 I've seen Ottobre, but have not checked into it that closely, this addition looks like it has a lot of nice pieces. Do the patterns come with the magazine, or do you have to down load after purchase? Hello Again Lisa, After reading about your leggings, I went to check out the Ottobre then ordered the magazine. There were to many cute individual items that I liked. Merry Christmas to you and yours! Love the leggings Lisa. Esp like the stripe top. Couldn't help buy notice - you've got to get some quilts on those walls - smiles! A question I've always had about leggings . . . do you have any trouble with the knees getting baggy as they are worn? Or does the particular fabric selected for them make the big difference? Great leggings collection Lisa. I never sew leggings and I think I should try :) Thank you for the inspiration. Happy sewing!